Our sun is one of a hundred billion or so stars in the Milky Way, travelling in relative peace in the outskirts of our home galaxy. About 8 kiloparsec (26 thousand light years) from us in the constellation Sagittarius lies the center of the Milky Way. It can be difficult to see all the way to the center due to the enormous amounts of gas and dust in the way, but astronomers have managed to pierce this veil to study the heart of the Milky Way galaxy. Two teams of astronomers, one based in Germany at the Max Planck Institute for extraterrestrial Physics (great name!) and the University of California Los Angeles tracked the motion of stars using state of the art infrared cameras in the very heart of the Milky Way and found something remarkable. The stars in the center of our galaxy all orbit the same empty spot. It was as if there were some great mass in the center and the stars all orbited it. 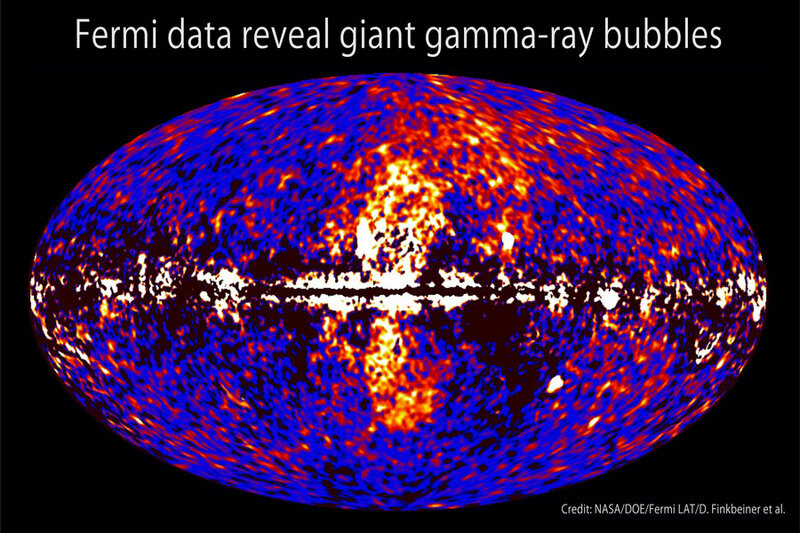 When they calculated the mass of this dark object, it came back as four *million* times the mass of the sun. The only object so small, yet so massive, is a black hole. So next time you see Sagittarius in the night sky, think of the monster lurking there. We now know that almost all galaxies contain such a supermassive black hole in the center, and the true monsters can be much more massive: up to ten billion solar masses in the centers of the most massive galaxies. When these black holes feast on gas and dust, they can light up as active galactic nuclei or quasars. 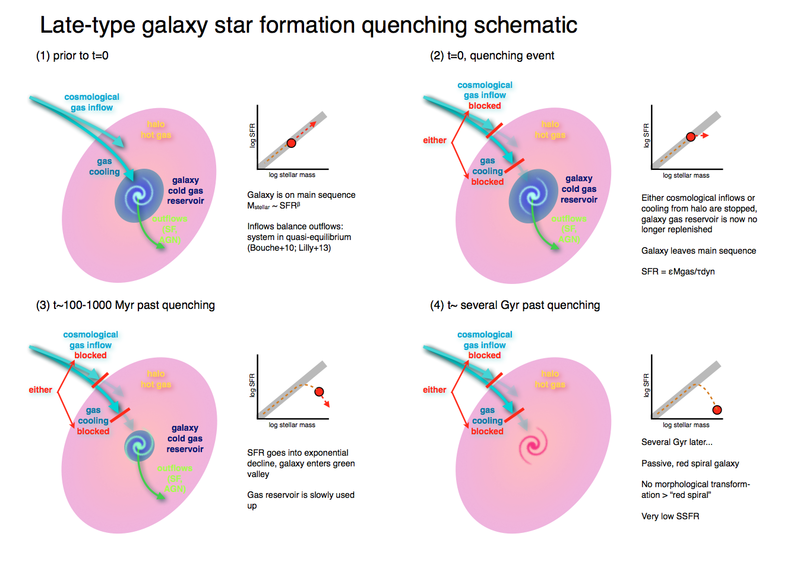 The Galaxy Zoo team has been working hard to understand the connection between galaxies and their black holes for the last 8 years, and we’ve learned a lot! 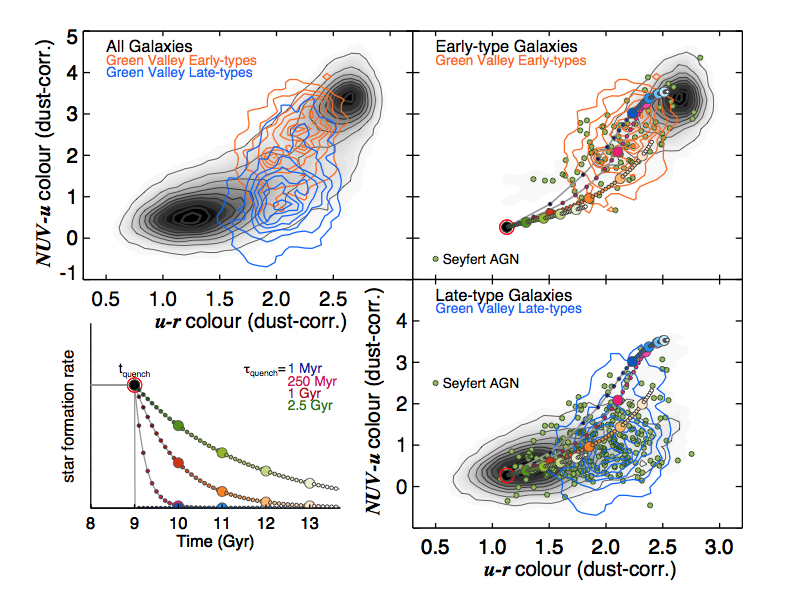 Hanny’s Voorwerp has told us much about what black holes are really up to, and your classifications for so many SDSS galaxies has really helped us to understand this “co-evolution” better! In the case of the Milky Way, we can see the echoes of recent outbursts of feeding from our black hole, from light echoes travelling across molecular clouds in the center, to the enigmatic Fermi bubbles, which many astronomers suspect are the aftermath of a powerful burst of accretion by our black hole. All this, just 8 kiloparsec from our home solar system…. it’s really not that far away! We got (some) observing time! 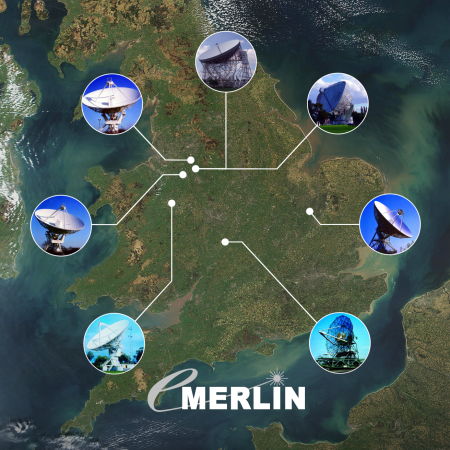 We applied for radio observations with the e-MERLIN network of radio telescopes in the UK. The e-MERLIN network can link up radio dishes across the UK to form a really, really large radio telescope using the interferometry technique. Linking all these radio dishes means you get the resolution equivalent to a country-sized telescope. You don’t alas get the sensitivity, as the collecting area is still just that of the sum of the dishes you are using. The e-MERLIN network (from http://www.e-merlin.ac.uk) of radio telescopes. Our proposal was to observe the Voorwerpjes. We wanted to take a really high resolution look at what the black holes are doing right now by looking for nuclear radio jets. The Voorwerpjes, like their larger cousin, Hanny’s Voorwerp, tell us that black holes can go from a feeding frenzy to a starvation diet in a short time scale (for a galaxy, that is). We really want to see what happens to the central engine of the black hole as that happens. There’s a suspicion that as the black hole stops gobbling matter as fast as it can, it starts “switching state” and launches a radio jet that starts putting a lot of kinetic energy (think hitting the galaxy with a hammer). … partially. Rather than giving us the entire time, they gave us time for just one source to prove that we can do the observations, and that they are as interesting as we claimed. So, we’re trying to decide which target to pick (argh! so hard). 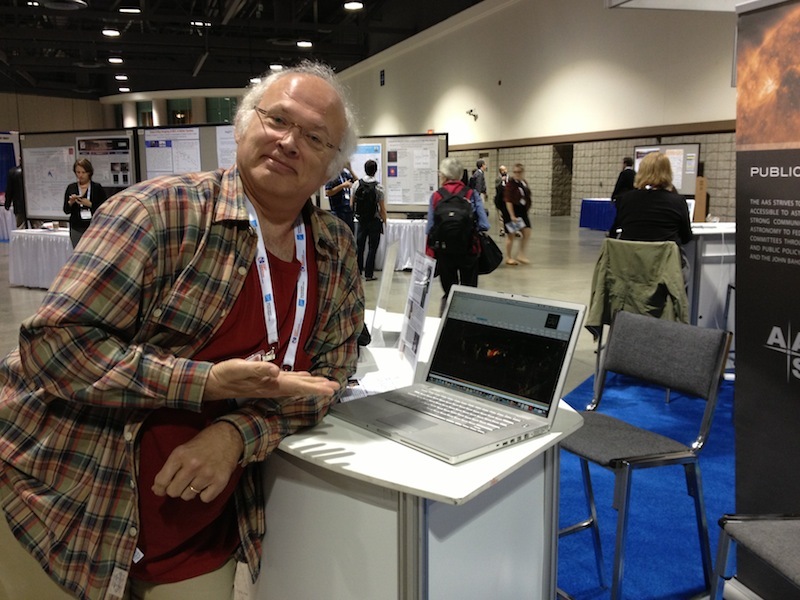 It’s January and that means that astronomers from all over the world flock to the American Astronomical Society‘s annual winter meeting (Jan 6-10 2013). This year, the 221st meeting, is in Long Beach CA. 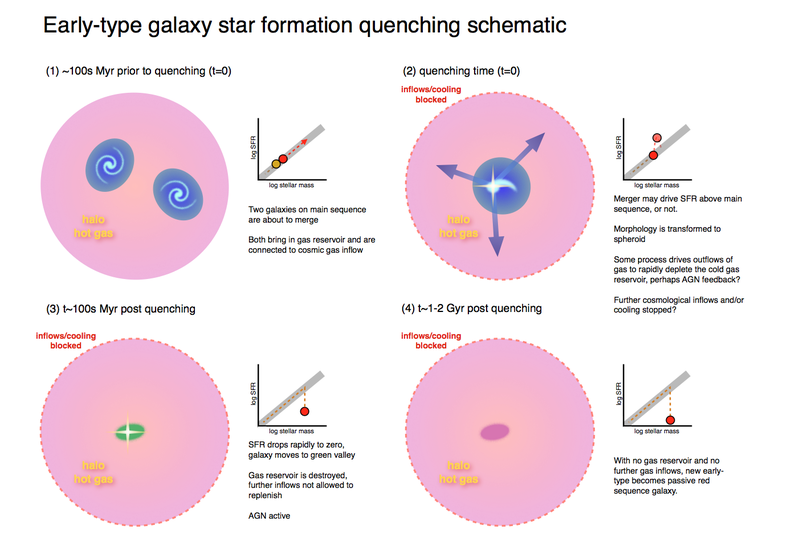 Quite a few of the team members and collaborators are going to the meeting and we’ll keep you posted on the exciting results that we’ll be presenting here on the blog and via our twitter account at @galaxyzoo. I’ll (@kevinschawinski) be talking about how blue galaxies turn into red ones (I needed all the blue ellipticals and red spirals you all found!) and how the two processes are completely independent. The talk is based on a paper in progress that I’m hoping to get ready for submission soon. Kyle Willett (@kwwillett) will present an update on the reduction and analysis of the Galaxy Zoo 2 data. 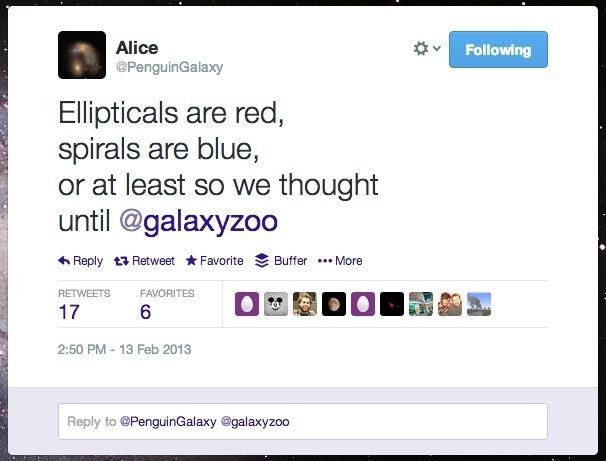 How do we turn your clicks into galaxy classification? This is the talk that will explain it! Brooke Simmons (@vrooje) is going to update us on how bulgeless galaxies spotted by you! managed to grow enormous 10 millions solar mass black holes at their centers entirely through `gentle’ or `secular’ processes. No major mergers here! Sugata Kaviraj will talk about the formation of early-type galaxies in the first half of cosmic time and discuss how your clicks from the ongoing Hubble Zoo might help uncover their secrets. And about how to get short term loans when you’re a student of the universe. 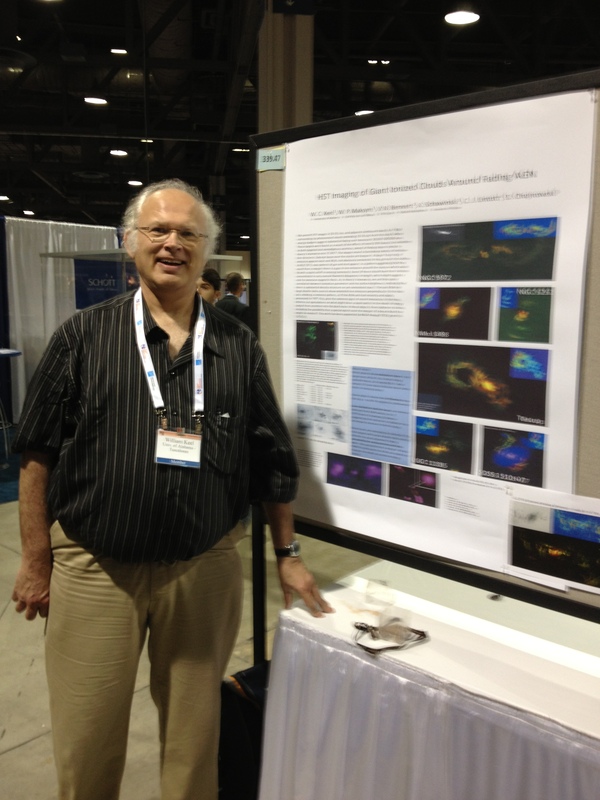 Finally, Bill Keel (@ngc3314) will present a poster with the latest analysis of the Hubble data of the Voorwerpjes, the light echoes of dying black holes. Our friends from the Planethunters team are also going and may have some exciting news up their sleeve as well! Want to work with the Galaxy Zoo Team? The Zoo team is once more expanding, this time in the new Black Hole and Galaxy Astrophysics Group at the ETH Zurich Institute for Astronomy in Switzerland! The postdoc position is for two plus one year and comes with support for travel, computing, publishing etc. Research will include work with Galaxy Zoo data, especially the new Hubble Zoo data from CANDELS and also include the hunt for the first black holes in the universe. The Ph.D positions are fully funded for four years and also come with support for all things a student needs. Both thesis ideas are based on Zoo data and ideas. For the Ph.D position, you’ll need a Master’s degree in physics, astronomy, or related field. Both postdoc and the students can get involved in the Zooniverse and getting more people to engage with science online. 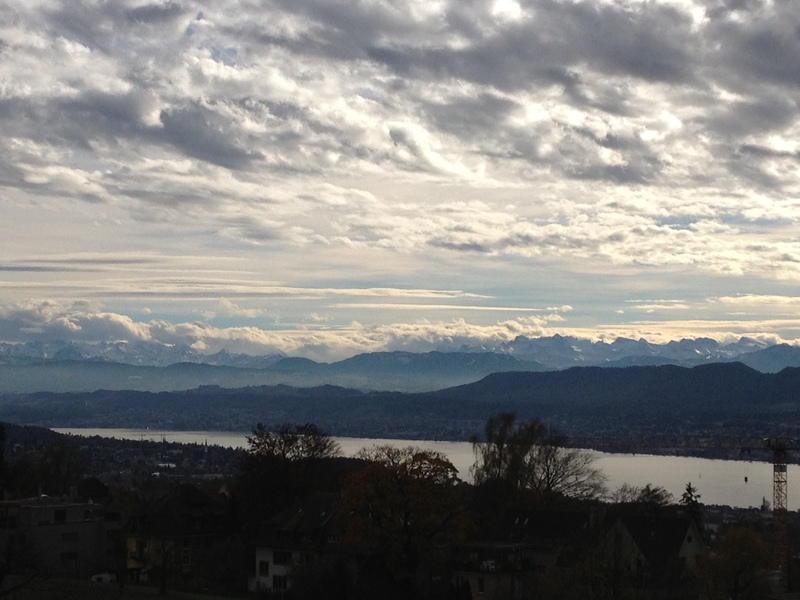 Zurich is usually ranked in the top ten cities in the world in terms of quality of life and ETH is the highest ranked European university in the world. ETH ASTRO has expertise from planet formation to cosmology and is involved in a number of large projects and surveys. Also, there’s unlimited espresso. The deadline for both is December 7 2012! For further details, please see the AAS ads. ESA Hubble Space Telescope has produced an incredibly detailed image of a pair of overlapping galaxies called NGC 3314. 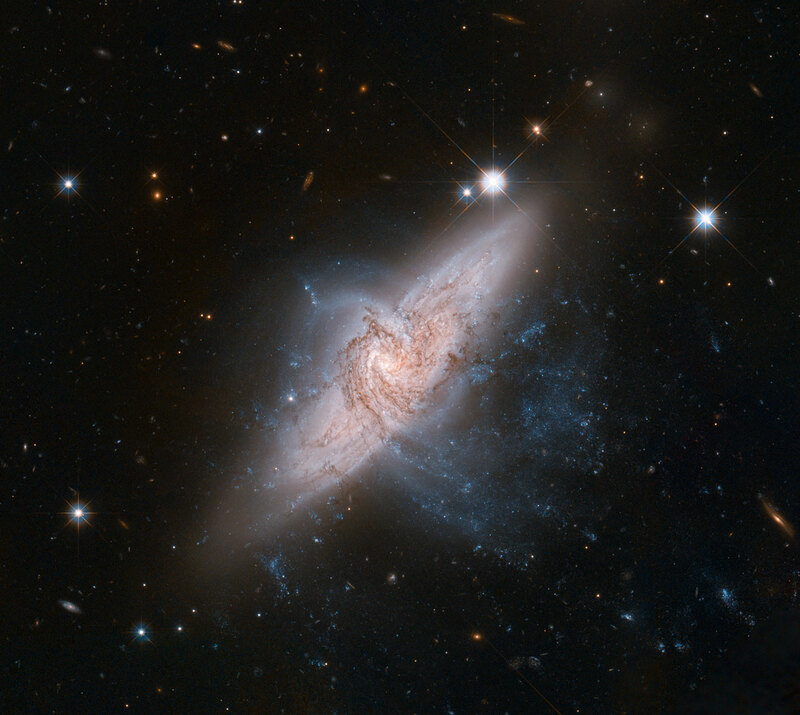 While the two galaxies look as if they are in the midst of a collision, this is in fact a trick of perspective: the two are in chance alignment from our vantage point (Credit: NASA). … then you can tag it with #overlap when commenting on it. That way, anyone with an interest in overlapping galaxies can find it by just clicking on #overlap. There’s already a discussion on tags on Talk, but if you find something that needs tagging, you can always start your own. Just use the # character! Galaxies like this one are not stars or artifacts, they are just veeeery faint, so faint that even a telescope as powerful as Hubble is stretched to its capabilities to image them. 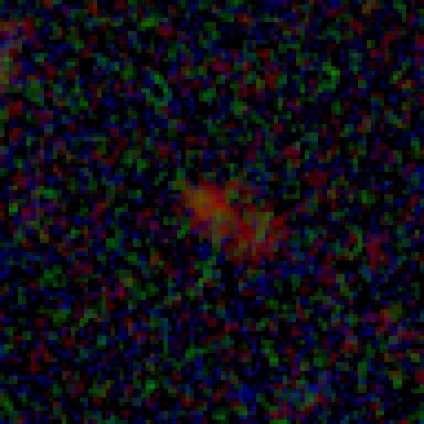 When you do see such a faint galaxy, please just answer the questions as best you can. In this case, I’d call this one “smooth”. Can you see features despite the noise, or is it smooth? It’s your call. Remember, most of these galaxies haven’t been seen before by humans, so there’s no right or wrong answer. Just do your best! The new SDSS images (right), drawn from the latest data release, are better and hopefully easier to classify than the old (left). You might remember that the original Galaxy Zoo 1 and 2 used images from the Sloan Digital Sky Survey (SDSS), a robotic telescope surveying the ‘local’ Universe from its vantage point in New Mexico. These images are now prepared in a slightly different way, in order to highlight subtle details. To better understand these galaxies, drawn from our own backyard, we’re making those improved images available through the new Zoo classification page. 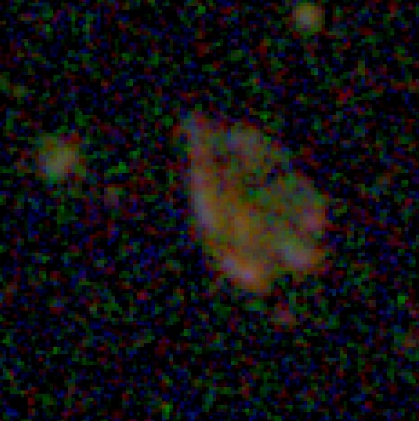 (These are actually new galaxies, from parts of the sky that SDSS hadn’t surveyed when we launched Zoo 2). We’ve already gone though Hubble Space Telescope images with the Hubble Zoo, but there are some exciting new observations available from Hubble that we just couldn’t pass on. In 2009, astronauts on Space Shuttle mission STS-125 visited Hubble for a final time and installed an exciting new camera in the telescope. This camera, called Wide Field Camera 3 (WFC3) can take large (by Hubble standards!) images of the infrared sky. 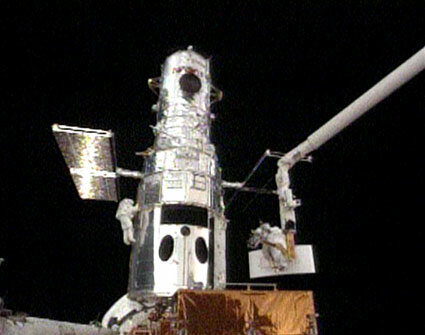 NASA astronauts installing the new Wide Field Camera 3 on the Hubble Space Telescope during the final Service Mission 4 (credit: NASA). As we peer deeper into the Universe, we look into the past, and since the universe is expanding, the galaxies we see are moving away from us faster and faster. This means that the light that left them gets stretched by the time it reaches us. 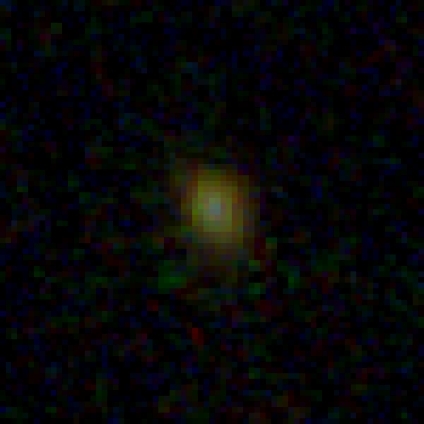 Thus, the light from stars gets “redshifted” and to see a galaxy in the early universe as it would appear in visible light locally, we need an infrared camera. Taking infrared images is much harder than optical ones for many reasons, but the most important is that the night sky actually glows in the infrared. This fundamentally limits our ability to take deep infrared images, which is why Hubble’s new WFC3 with its infrared capability is so valuable: in space, there’s no night sky! Hubble is currently using the WFC3 to survey several patches of the sky as part of the CANDELS program (more on that soon!) 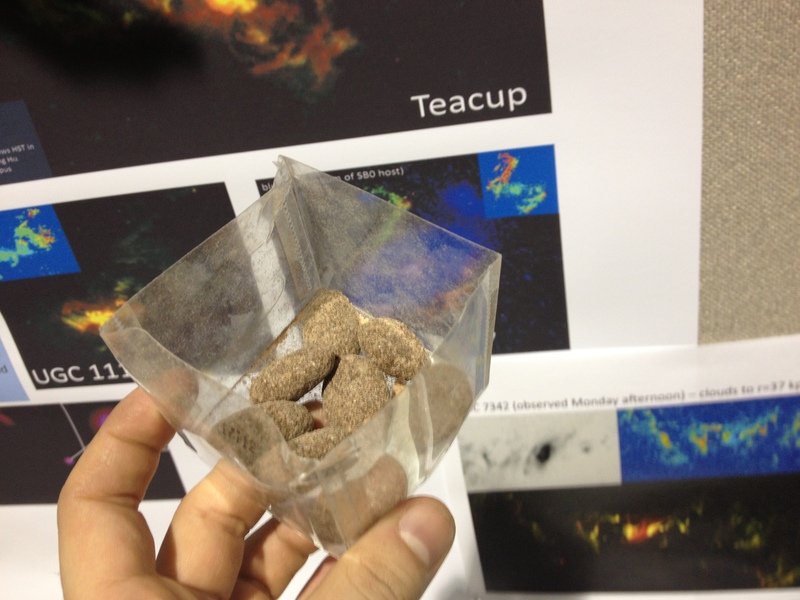 to generate deep infrared images of galaxies in the early universe and we’re asking you to help us sort through them. We are also introducing Galaxy Zoo Talk, a place where you can post, share, discuss and collect galaxies you find interesting and want to learn more about. You can of course still join us on the Forum, but Talk will make it easier for you to systematically discuss and analyse your galaxies. 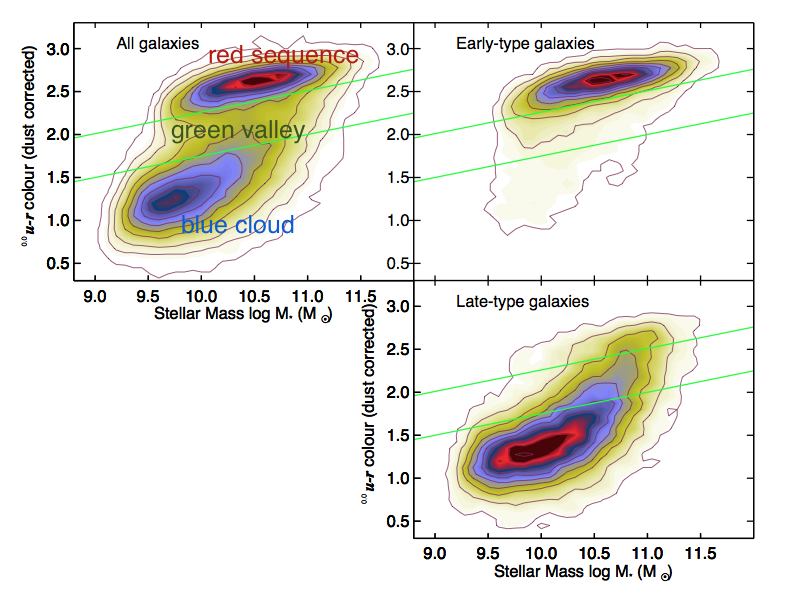 There’s a whole new mountain of galaxies to go through, so happy classifying!